Despite good results from the vaccination campaign, the Ministry of Health of the Canaries expects a surge in flu cases for the final weeks of this month and early next February. The virus, already rampant in the rest of Spain since the end of December, is expected to double in Tenerife. The Canary Islands had recorded a total of 12.63 cases per 100,000 inhabitants, while the national rate refers 31.82 cases per 100,000 population, so Tenerife is still considered low. Even so the Canarian Ministry of Health expects patients to increase over the next weeks; according says the head of the Epidemiology, “although profession is unpredictable, the peak is usually in late January” . The argument is not based on anything other than the falling temperatures. It is getting colder than we are accustomed in Tenerife and that will cause the virus to replicate as with lower temperatures, people spend more time indoors, which facilitates the spread as the flu is airborne”. Another scenario to consider, is that some experts argue that the arrival of the virus to the Tenerife comes in the wake of visitors from abroad. 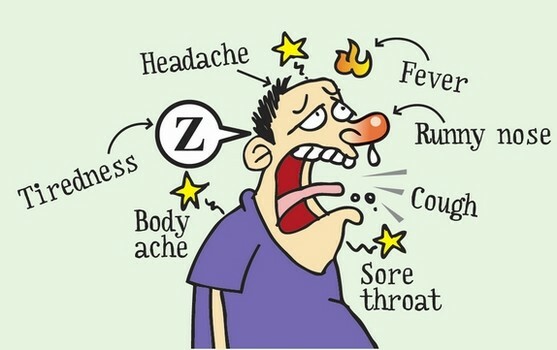 The Epidemiology Department of Public Health states “Most people confuse the flu with other respiratory diseases.” So the first thing is to make sure that it is actually the flu virus and not a common cold. “The clearest symptoms are intense joint pain, fever above 38 or 39 degrees and an urgent need to go to bed” he says in summary. ← Put your clothes on!